There is a Facebook ‘scam’ doing the rounds that is landing in people’s Facebook Messenger inbox, informing them that their account may have been cloned. However, rather than a sincere warning, these are simply a ‘viral message’ that is being passed on, unsuspectingly, by the people who receive them to the contacts on their own friends lists. This is the viral message. 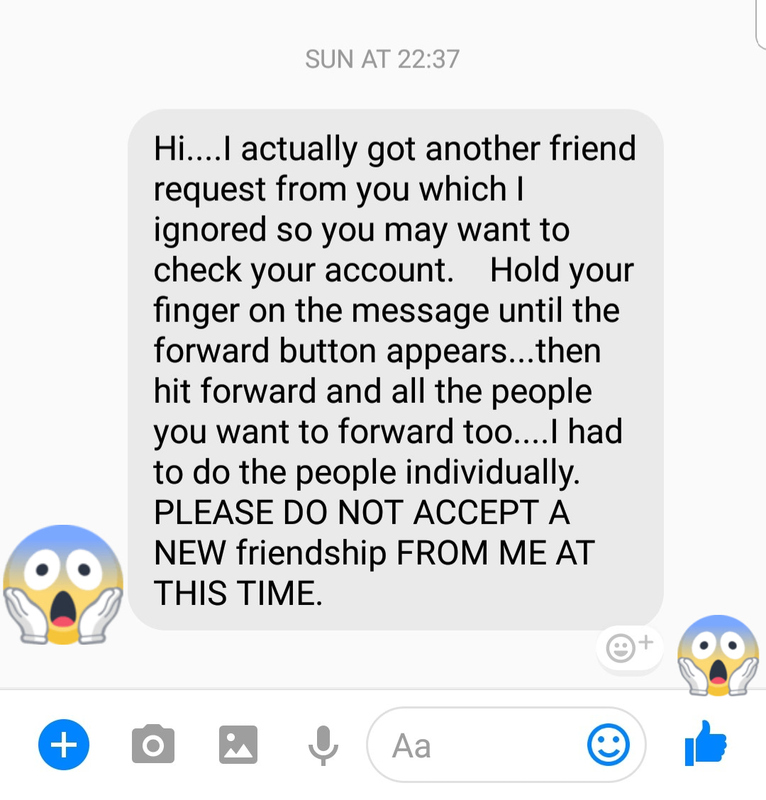 At the bottom of the message is an instruction to forward the message to your friends list, and this is how it is spreading from person-to-person. The message itself is actually completely harmless – there are no dangerous links or files contained within it. The main issue with it is that it’s causing unnecessary anxiety over the security of user’s Facebook accounts. It’s also worrying that people are choosing to follow instructions sent to them over Facebook without thinking critically about whether it’s likely to be genuine. If one good thing comes from the type of scam, it’s an increased awareness of account security and cloning. Securing your Facebook account as much as possible is the best way to stop your account from being copied. You can also read more here about how to recognise and avoid Facebook scams.